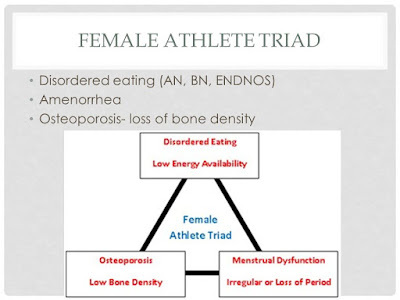 fitness planfinish: Optimal Fasting Times for Female Fat Loss - A discussion. Optimal Fasting Times for Female Fat Loss - A discussion. This is probably the most common question I see among women new to Intermittent Fasting. Unfortunately there is no hard-and-fast definitive answer to this question. We all react to stress differently. Yes, I said stress. Fasting is a stressor to the body - especially the female body. Like money worries, relationship drama, and exercise, fasting will cause the body various levels of stress which can, and often will, result in negative consequences regarding our health. I'm going out on a limb here, but I'm guessing most of you have jobs and financial responsibilities, relationships, some of you have children or are care takers of family members. You probably rarely get eight hours of sleep and, let's face it, who has time to meditate daily when living in the real world? All of these things are life's stressors. Now, add lack of sleep, job and family/relationship stress to a boiling pot of intense daily exercise and a lack of food and your body will start to make some decisions for you. One of them is that you are in no place to have a baby and it begins revving down the reproductive engine, rendering you infertile. This then causes a cascade of negative affects for, you guessed it, your metabolism! When the body shuts down �non-essential� body processes such as reproduction, this is called hypothalamic amenorrhea. When you reach this state, your levels of estrogen and progesterone drop very low. Low levels of these hormones will cause the weakening of your bones while affecting your metabolism, energy and even your sanity! First, the hypothalamus releases gonadotropin releasing hormone (GnRH). *Pay close attention to this guy because you'll read more about him in a bit. This tells the pituitary to release luteinizing hormone (LH) and follicular stimulating hormone (FSH). LH and FSH then act on the gonads (a.k.a. testes or ovaries). In women, this triggers the production of estrogen and progesterone � which we need to release a mature egg (ovulation) and to support a pregnancy. In men, this triggers the production of testosterone and sperm production. Because this chain of reactions happens on a very specific, regular cycle in women, GnRH pulses must be very precisely timed, or everything can get messed up. Scientists are beginning to explore the role of a protein-like molecule called Kisspeptin in GnRH (there it is again!) stimulation. Kisspeptin also induces the production of LH and FSH, both of which are required for menstruation. Kisspeptin production is induced by leptin (the satiating hormone that tells you you're not hungry). Since leptin is produced by fat cells, and kisspeptin production is induced by leptin, it would be safe to reason that individuals with low fat levels may have lower levels of leptin and therefore low levels of kisspeptin as well. 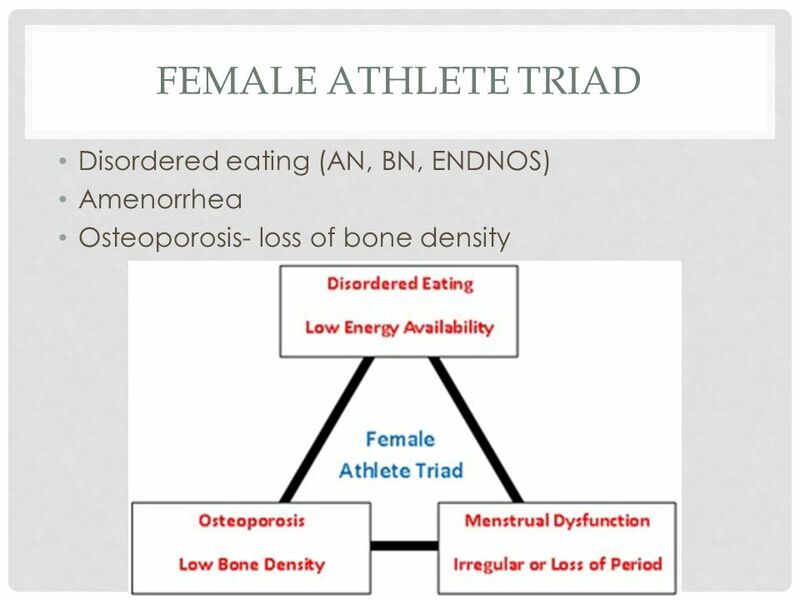 This explains why leaner people get hungry faster and how athletes who have low body fat levels may stop menstruating. Interestingly, females mammals apparently have more kisspeptin than males. More kisspeptin neurons may mean greater sensitivity to changes in energy balance. This may be one reason why fasting more readily causes women�s kisspeptin production to dip, tossing their GnRH off kilter. How lovely it would be to have an actual study regarding fasting and human women, but there is an often-discussed study on rats that delves somewhat into this. Half of the rats ate what they wanted, the other half were fed every second day with no food in between (fasting state). The study lasted 12 weeks which is supposedly the equivalent of about 10 years in a human. Kisspeptin levels dropped in both male and female rats, however, the females suffered a dramatic impact on their hormones. LH dropped significantly, while estradiol skyrocketed. Estradiol is responsible for blunting/inhibiting GnRH >>> GnRH is responsible for stimulating LH and FSH >>> LH and FSH trigger the production of estrogen in the ovaries. Too much GnRH = way too little female reproductive hormones being produced. And, while the study lasted 12 weeks (equaling 10 years in humans), it took only 10 to 15 days to see these devastating hormonal affects in the female rats. If 12 weeks in a rats life = 10 years for us humans, then 10 days must equal only about a year - or less, actually. So what? Who wants to have periods anyway? Unless you're trying to get pregnant, I think we'd all agree that periods are a hassle. Well, while they may be an annoying monthly inconvenience, a healthy period says a lot about the health of your metabolism. As I mentioned earlier, when a woman eats a restrictive diet, which happens when skipping meals or fasting, her body starts to worry about resources. Add to this hour upon hour of high intensity exercise, few-to-no rest days and you are brewing a metabolic disaster. Our bodies are greatly affected by stress. And while exercise is good for us, our bodies see it as another stressor. Ok, that was a lot of information and I still haven't answered the question. How long should I fast? I honestly cannot definitively say. However, based on the information in the above discussion, I feel that women should begin with a conservative approach to fasting. It takes the body anywhere from six to eight hours to digest a meal. (This does not apply to protein shakes and other liquid meals as they will move much quicker through your system.) Therefore, a 14-hour fast gives your body a solid 6-8 hours in fasting mode every day when it can clean up blood sugar, tap into fat reserves and busy itself with autophagy (cleaning up dead/dying cells). During this golden period of true fasting, your insulin will be low which, in turn, turns off fat storage mode and turns on fat-burning mode. Add to this a fasted training session or some low intensity cardio, and you can tap a bit further into your sugar and fat stores. There's an analogy I use every time I try to explain this concept to people. You have a new car sitting in the driveway. You just drove it home from the dealership and the gas tank is full. The first time you take it out for a drive, you stop at the gas station to fuel up. What happens? Well, since your tank is already full, the gas just spills out of the tank, runs down the side of the car and pools on the ground until you shut off the pump. This is the same concept as eating. If you have a decent first meal of the day (regardless of what time), your tank is now full for probably at least six hours. But you eat again in three or four hours because modern convention says it's time for lunch. Your body isn't finished digesting meal one, so it says, "There's plenty of energy still in circulation (sugar and fat from meal #1), let's just store any extra and deal with it later." And the cycle continues 3-4 hours later with dinner or happy hour. If your body is still using the macronutrients from one meal, don't give it another one yet just because "it's time." Trust me, your body will let you know when it's really time to eat again. Your stomach will start growling and that hungry feeling will be gnawing at you. Your body won't forget to tell you to eat. Now, this is where the composition of your meals makes the most difference, but that's actually going to require a whole other post about leptin, ghrelin and macronutrient composition. For now, let me just say that if you eat processed garbage or straight sugar (this includes bagels, cereal and other forms of starchy carbs), you will feel hungrier as soon as you come off the sugar high. Always eat mixed meals with ample protein, carb amounts according to rest day/training day (more on that later as well), and some fat to slow down digestion and keep your hormones happy. Which fasting protocol is the best? Again, this could be a whole other post, but someone else has already covered it here. The protocol I like the most is Martin Berkhan's Leangains. Fast for 14 (women) to 16 (men) hours each day, and then �feed� for the remaining eight to 10 hours. During the fasting period, you consume no calories, though black coffee, calorie-free sweeteners, diet soda and sugar-free gum are permitted. (A splash of milk or cream in your coffee won�t hurt, either.) Most people will find it easiest to fast through the night and into the morning, breaking the fast roughly four to six hours after waking up. This schedule is adaptable to any person�s lifestyle, but maintaining a consistent feeding window time is important. Otherwise, hormones in the body can get thrown out of whack and make sticking to the program harder, according to Berkhan. What and when you eat during the feeding window also depends on when you work out. On days you exercise, carbs are more important than fat. On rest days, fat intake should be higher. Protein consumption should be fairly high every day, though it will vary based on goals, gender, age, body fat and activity levels. Regardless of your specific program, whole, unprocessed foods should make up the majority of your calorie intake. However, when there isn�t time for a meal, a protein shake or meal replacement bar is acceptable. Pros: Meal frequency is irrelevant � you can eat whenever you want to within the eight- to ten-hour �feeding� period. That said, most people find breaking it up into three meals easier to stick to. Choosing two meals and a snack allows for two fairly large meals which will leave you feeling full and more than satisfied. Cons: Even though there is flexibility in when you eat, Leangains has pretty specific guidelines for what to eat, especially in relation to when you�re working out. The strict nutrition plan and scheduling meals perfectly around workouts can make the program a bit tougher to adhere to. You can learn more about the specifics � as well as when to time these meals � by reading the Leangains Guide. The reason I don't like the other fasting protocols is due to the length of the required fasts and what I believe are negative consequences of long fasts for women. Remember the mice? Leangains takes some forethought and planning, but it works without totally stressing the body, allowing you to actually slightly overeat on training days while slightly under eating on rest days. But you MUST LIFT WEIGHTS on this program to be successful. Also, don�t ignore a series of missed periods. Along with nutritional deficiencies and energy imbalance, you could be dealing with quite a few serious underlying issues.